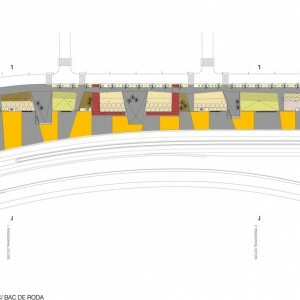 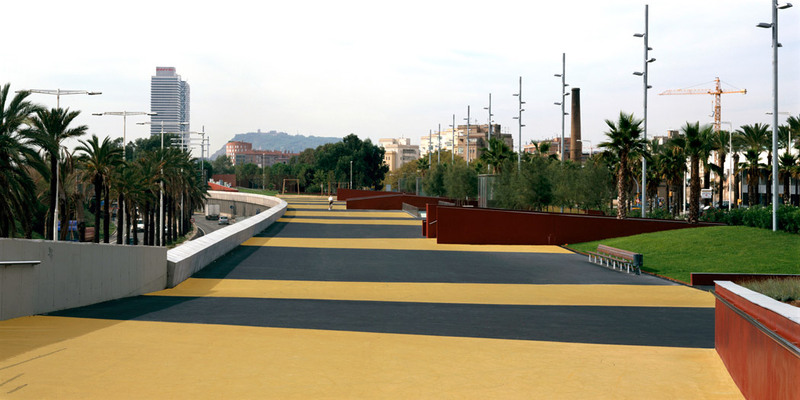 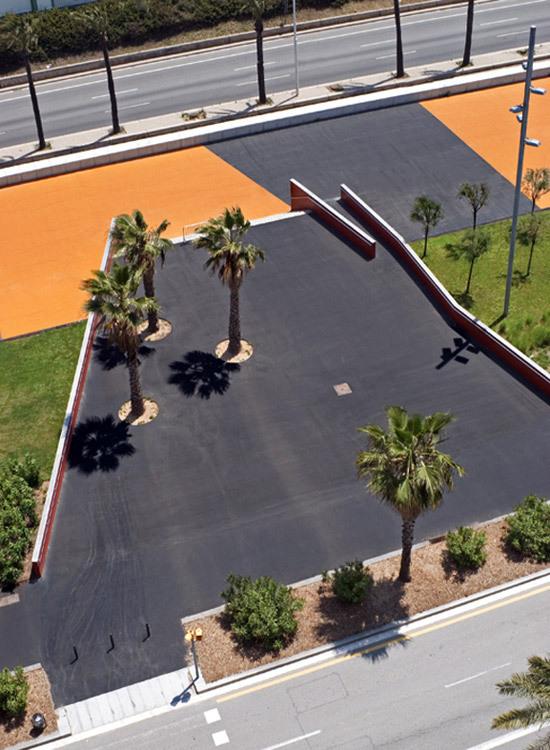 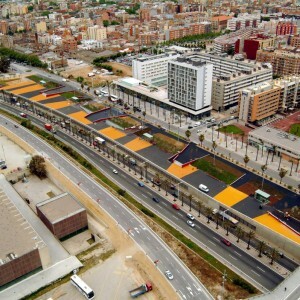 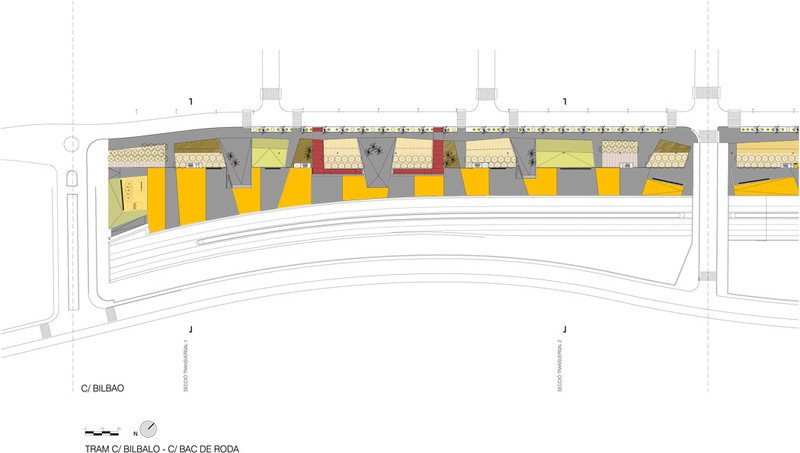 Pere Joan Ravetllat // Carme Ribas: The resulting piece to urbanize is a strip of 40 m wide and 1,3 km long, divided into 3 parts because of Ronda Litoral road crossing. 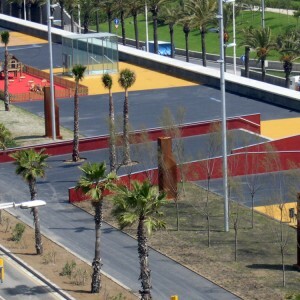 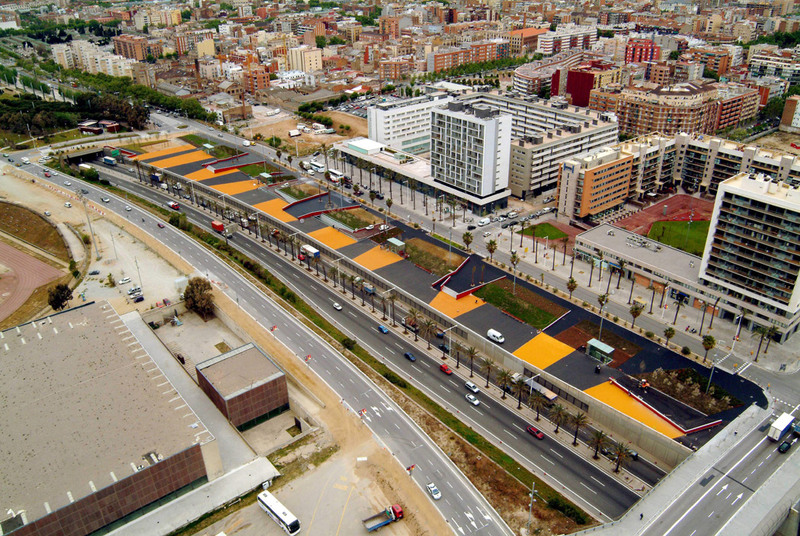 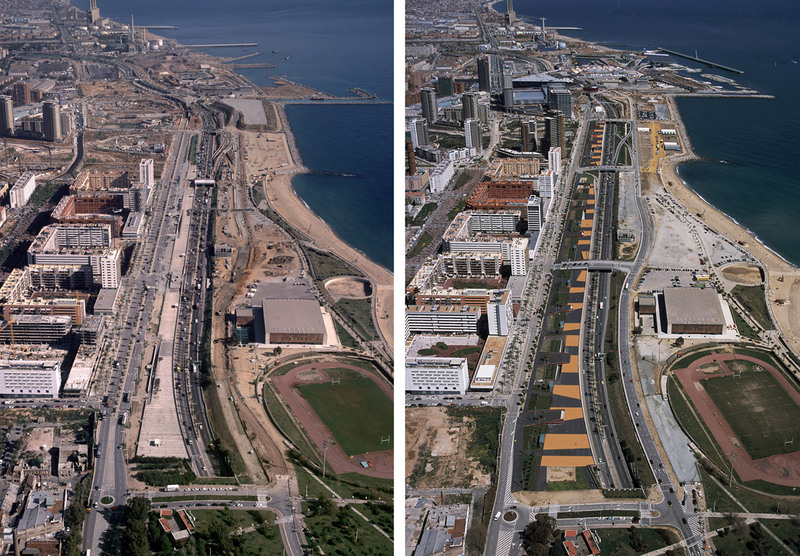 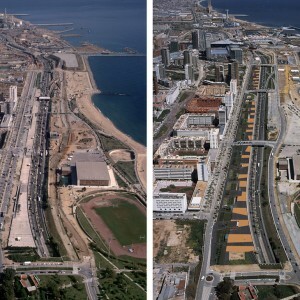 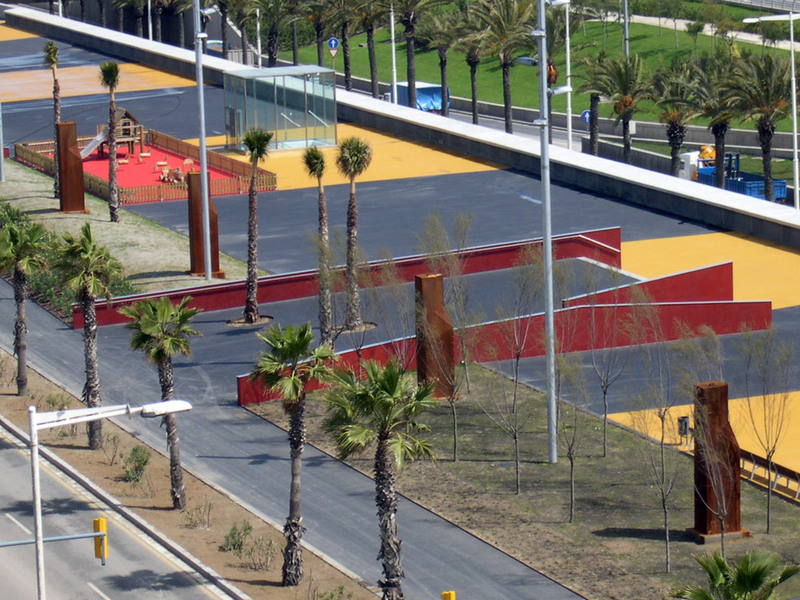 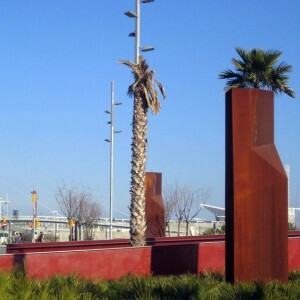 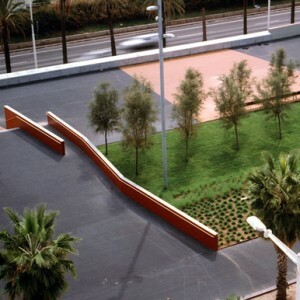 The execution of the works was divided in two phases, the first one between Bilbao and Selva de mar streets and the second and third between Selva de mar and Josep Pla streets These parts are subdivided in two zones: the coverage of one parking facing to Ronda and the remaining space between the road and the wall of the parking. 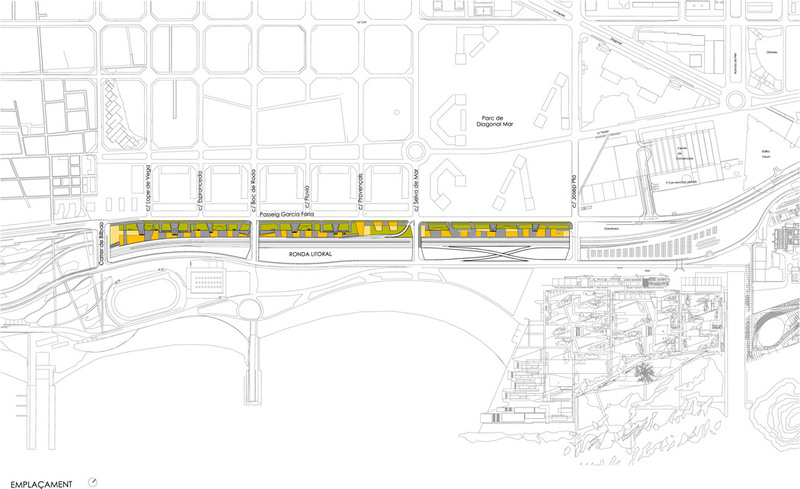 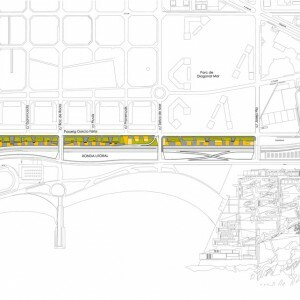 The project draft starts with these initial considerations, consolidating that division with a paved promenade above the parking and a green strip. 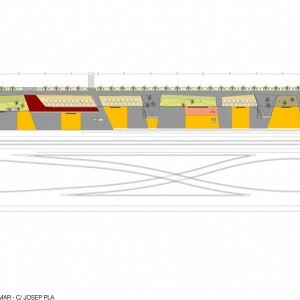 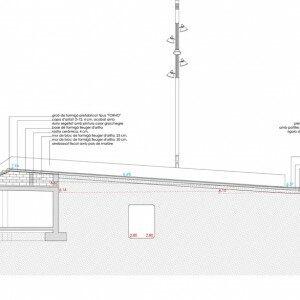 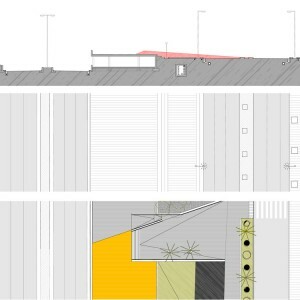 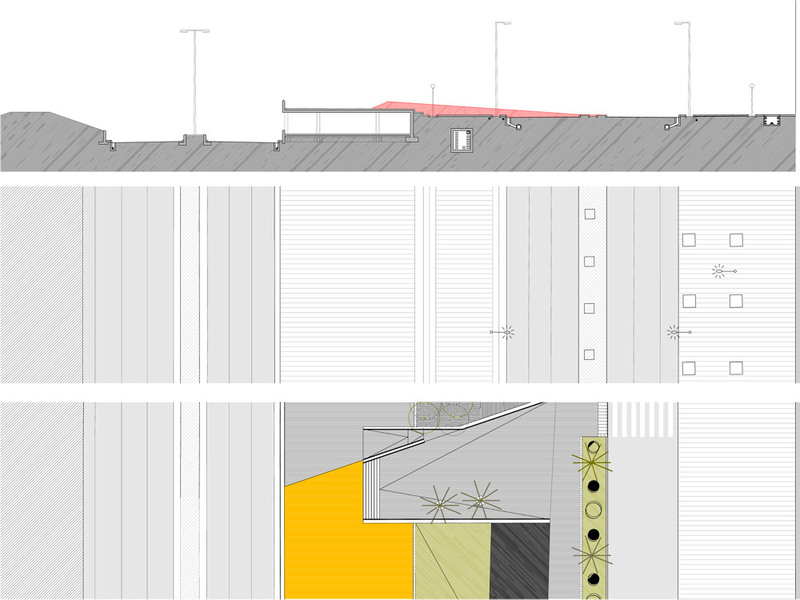 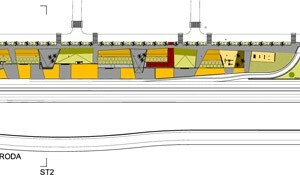 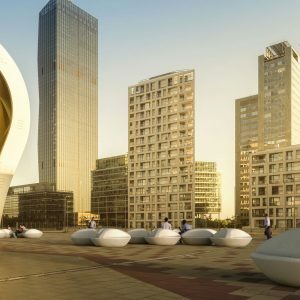 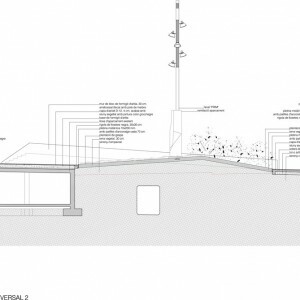 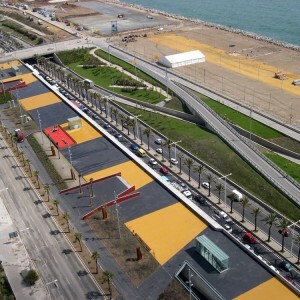 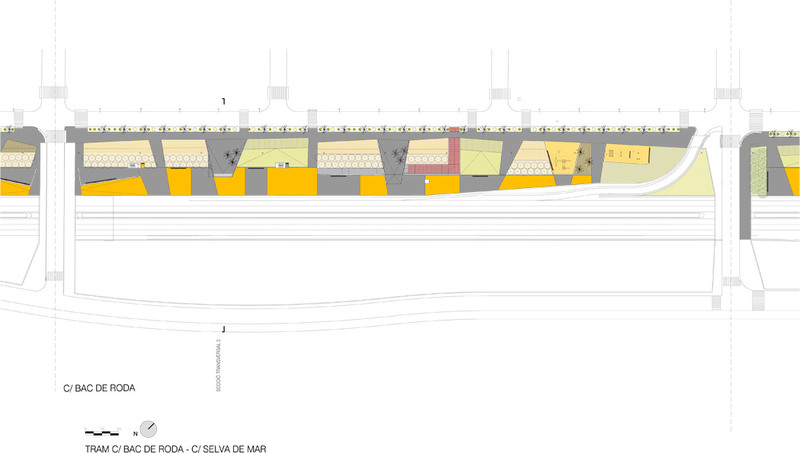 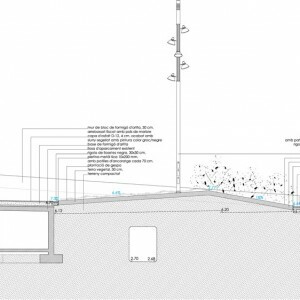 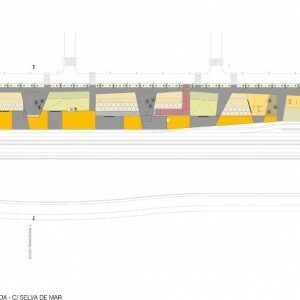 The admissible overloads of the parking in the phase one (1.000 kg/m2) and the future maintenance led us to abandon the possibility to landscape and build on the roof. 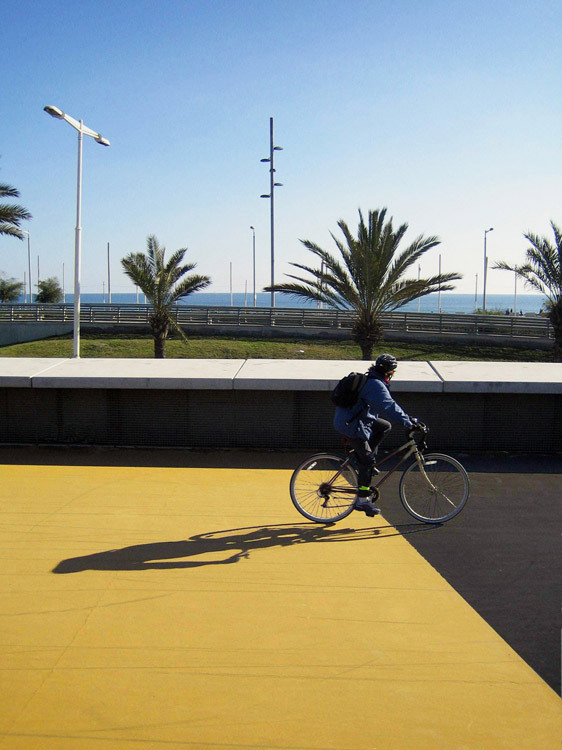 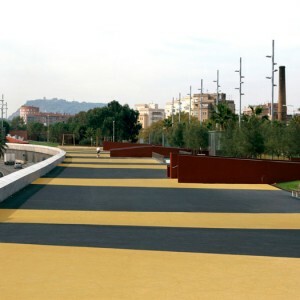 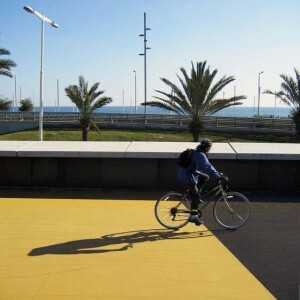 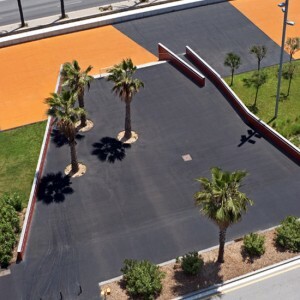 That is why we thought an asphalted pavement with two colours as the main character of that strip for bicycles, running and other similar activities. 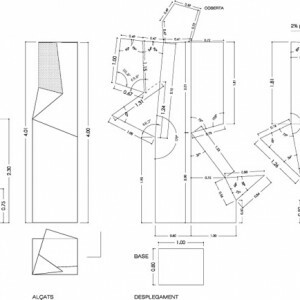 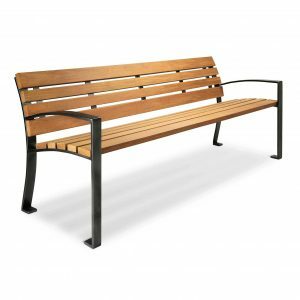 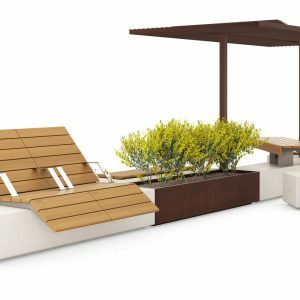 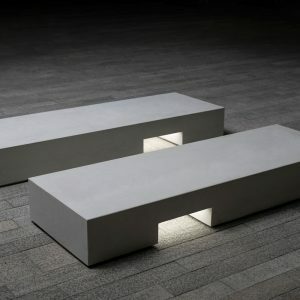 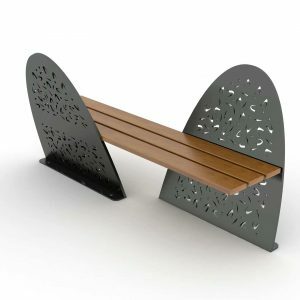 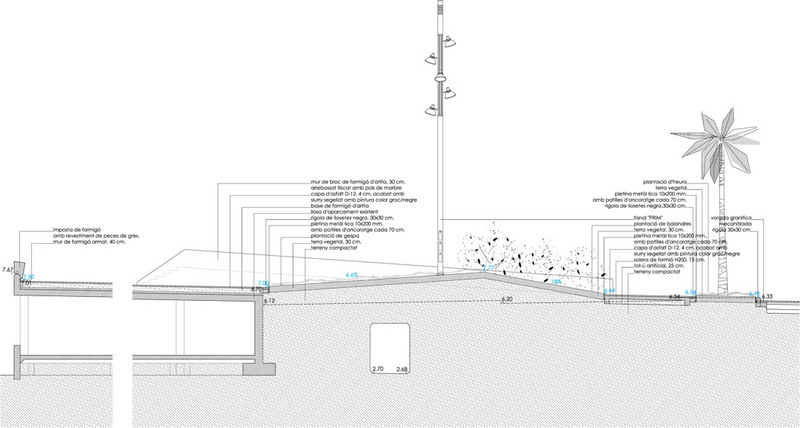 We want to emphasize the large size of this space taking out overlapping elements for reinforcing its primary qualities. 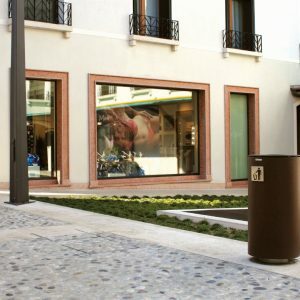 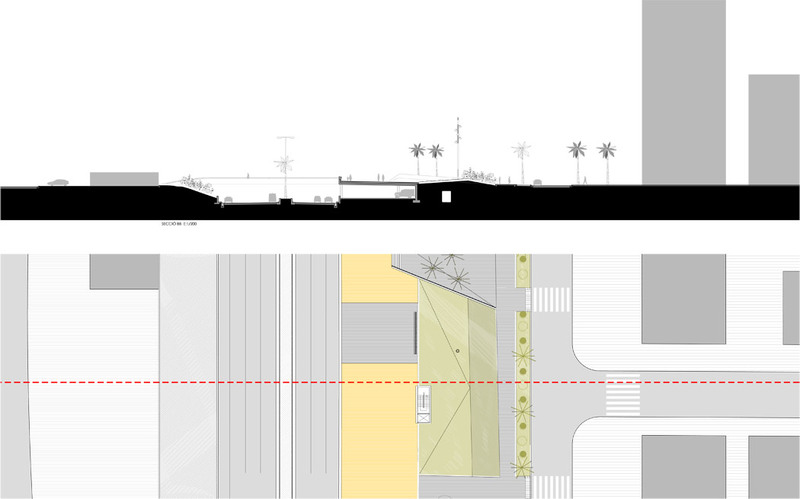 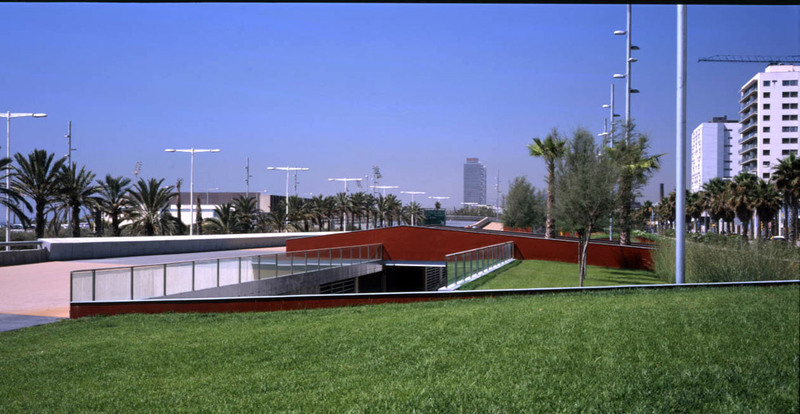 In the rest of the promenade we propose a linear garden organized by trapezoidal green parts allowing the permeability between the pedestrian ways and the plaza above the parking. 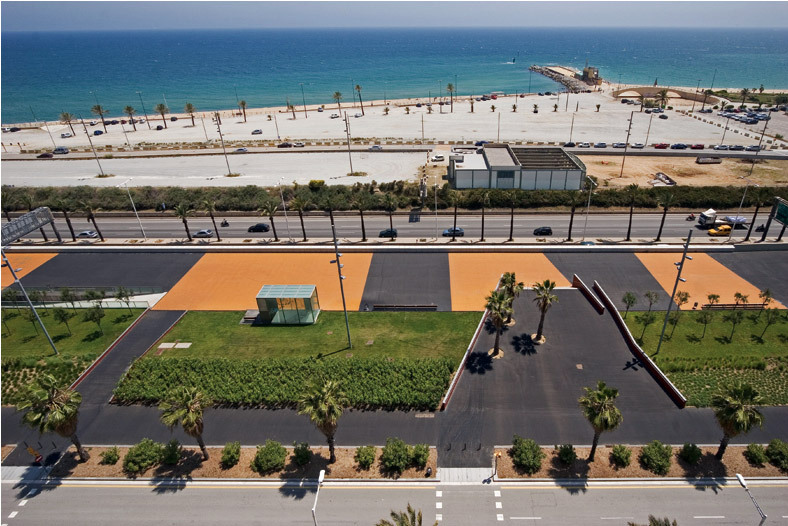 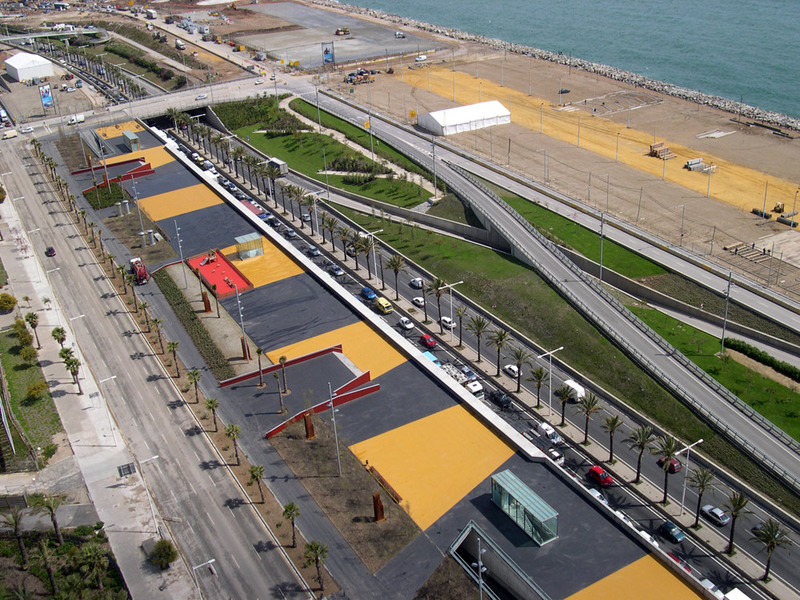 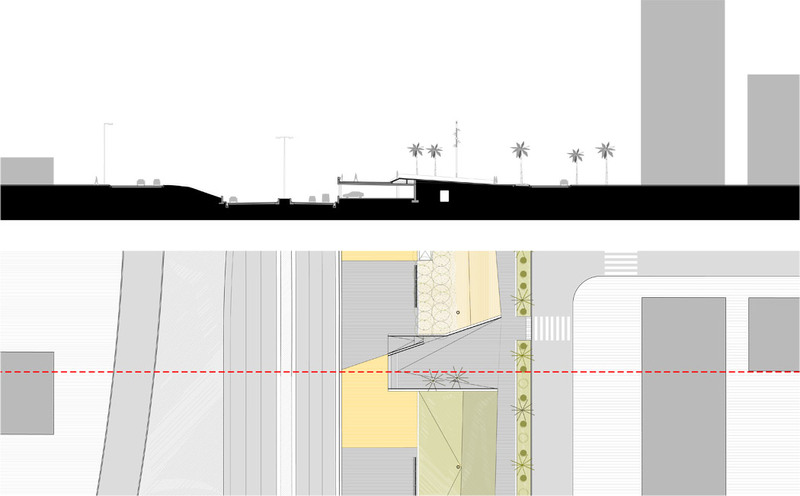 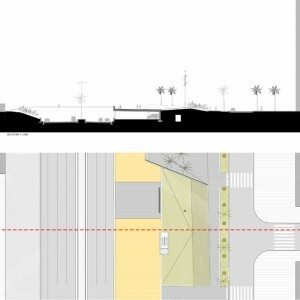 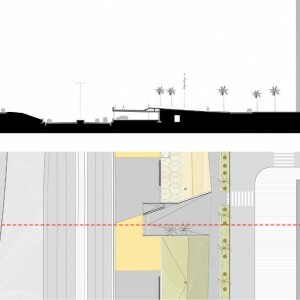 The relationship between the two parts of the promenade is made by the disruption of raised platform and sanded platforms superimposed on the parking deck, acting as viewpoints to the sea. 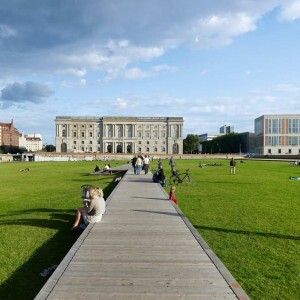 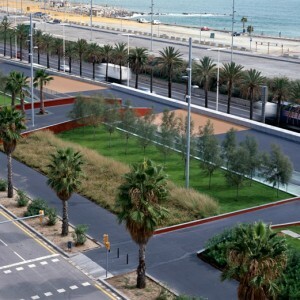 Some of the planted areas are raised above the natural ground levels offering grass platforms looking out to the beach. 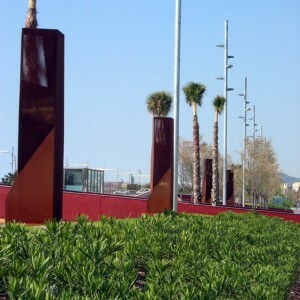 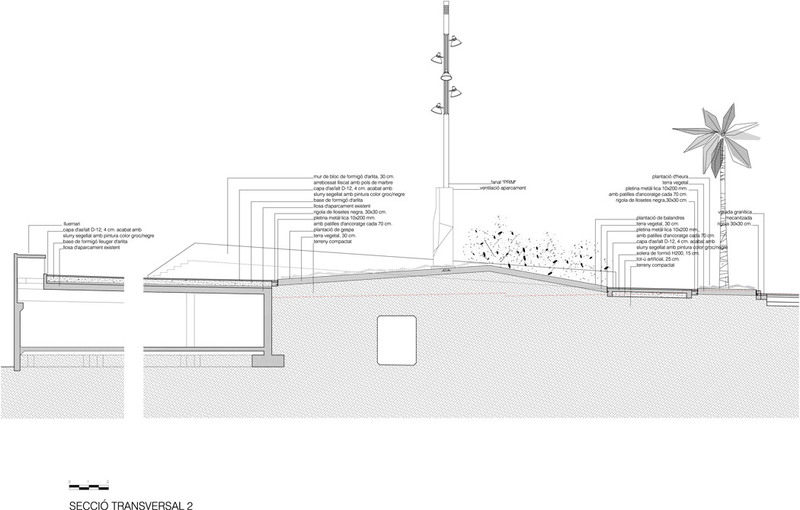 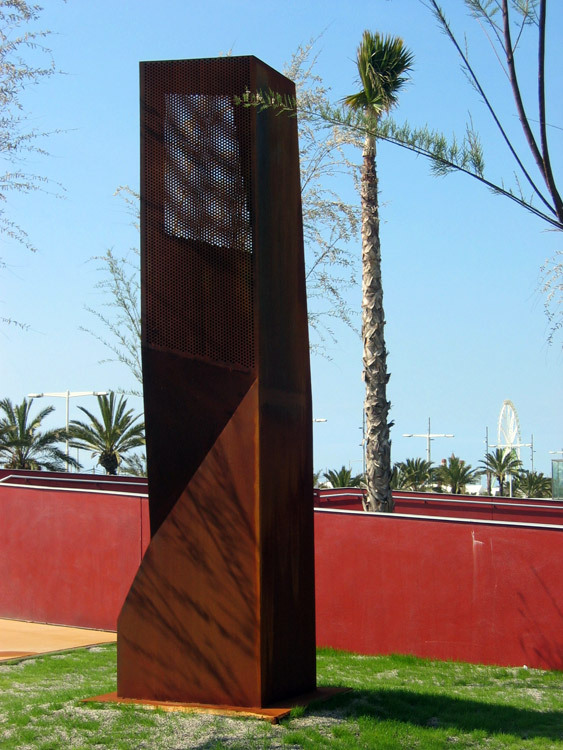 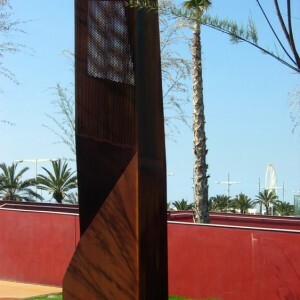 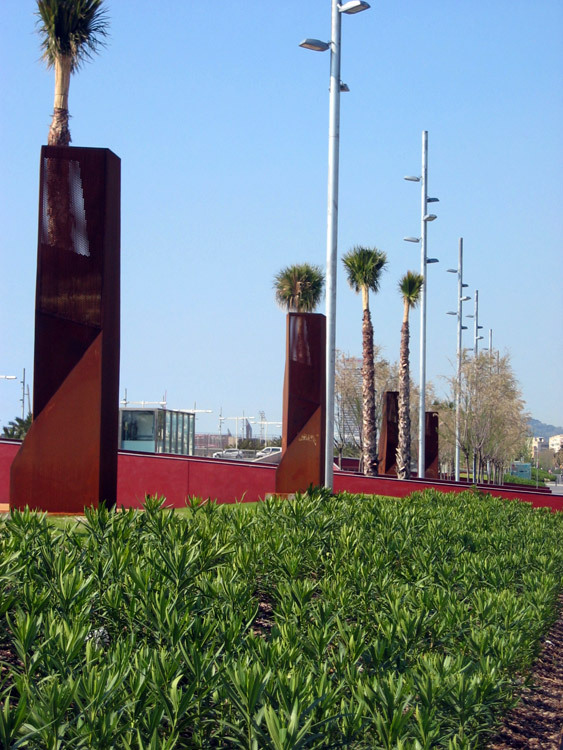 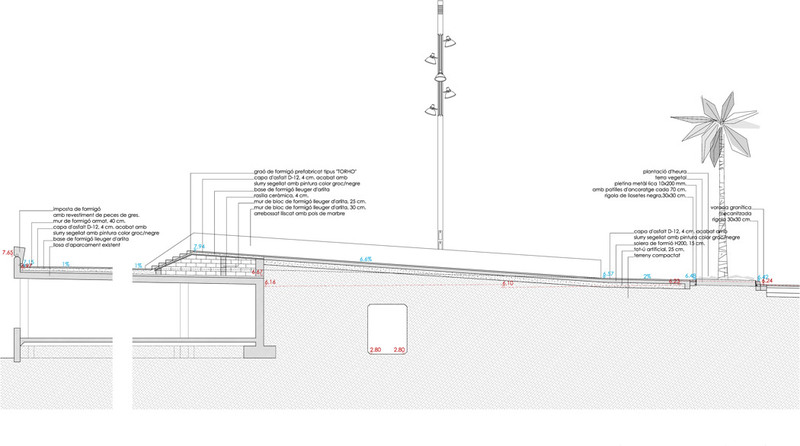 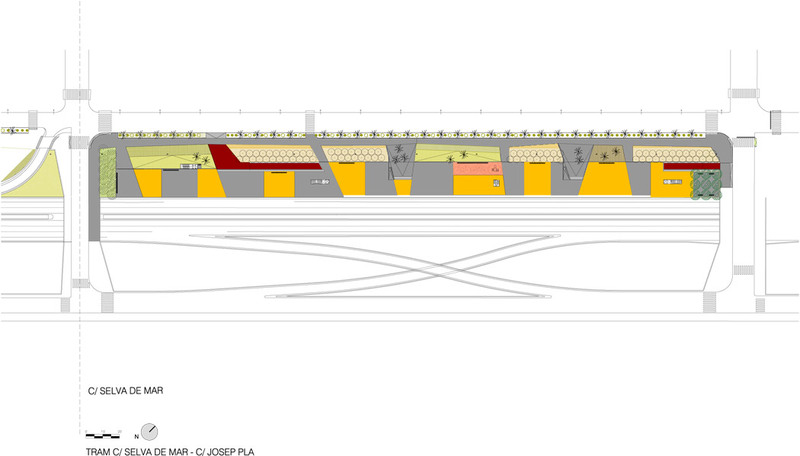 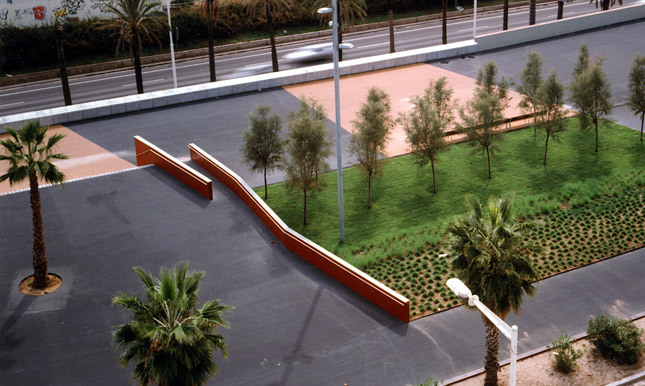 In that landscaped strip appear some singular elements made of corten-steel for bus parking ventilation. 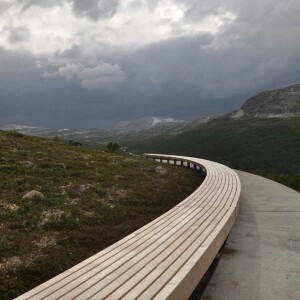 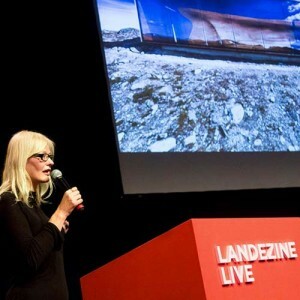 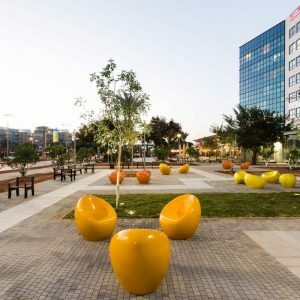 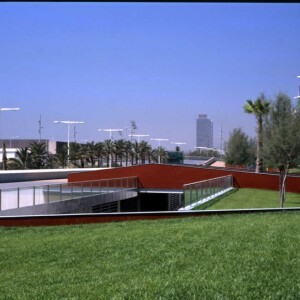 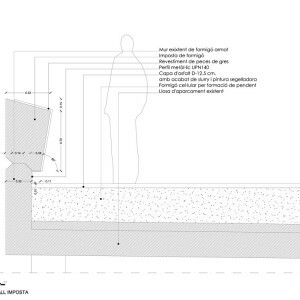 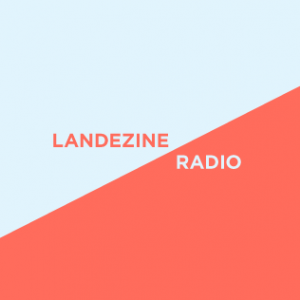 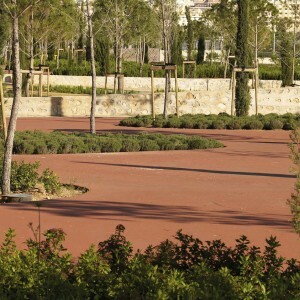 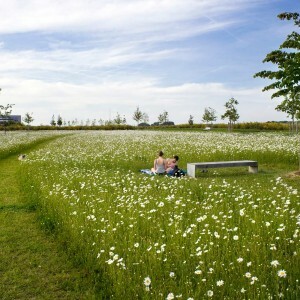 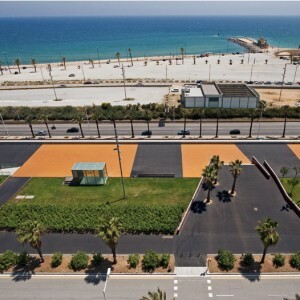 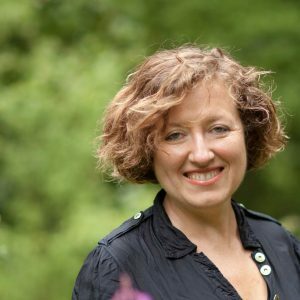 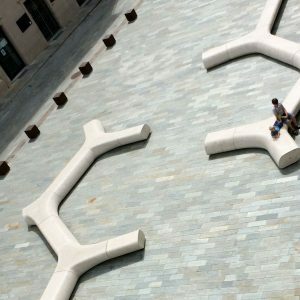 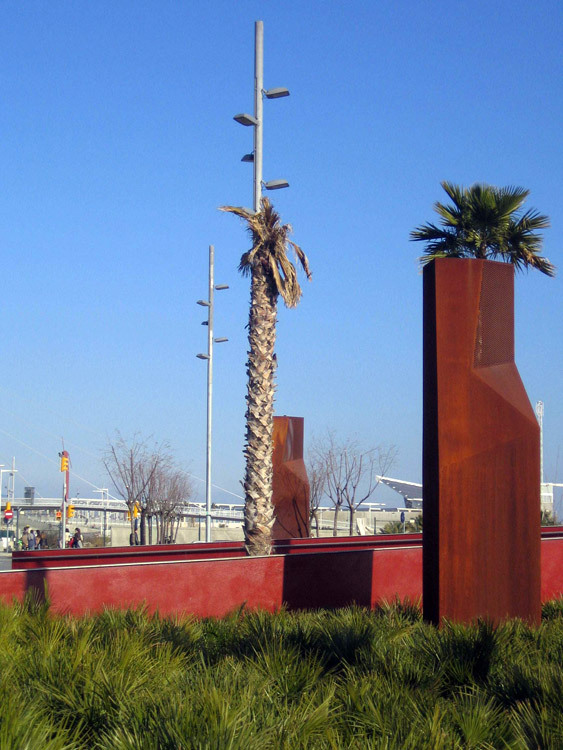 Landscape Architecture: Pere Joan Ravetllat // Carme Ribas, architects. 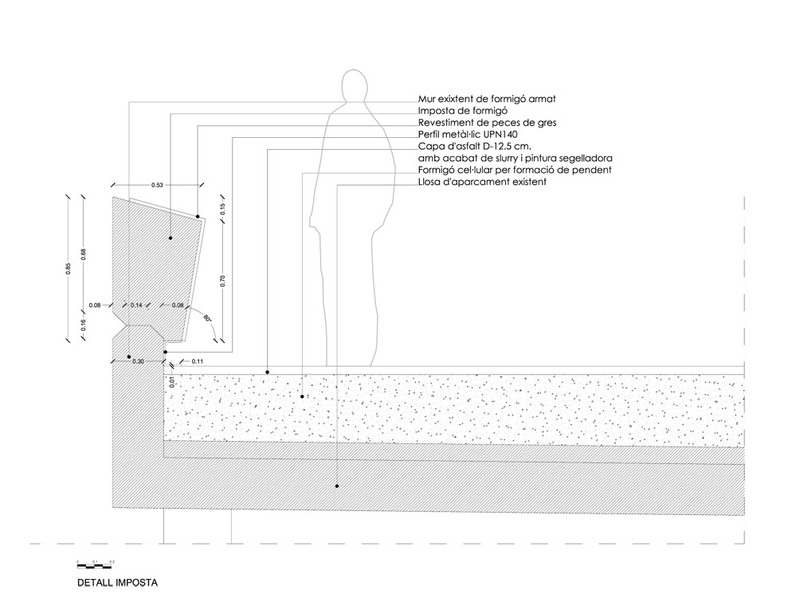 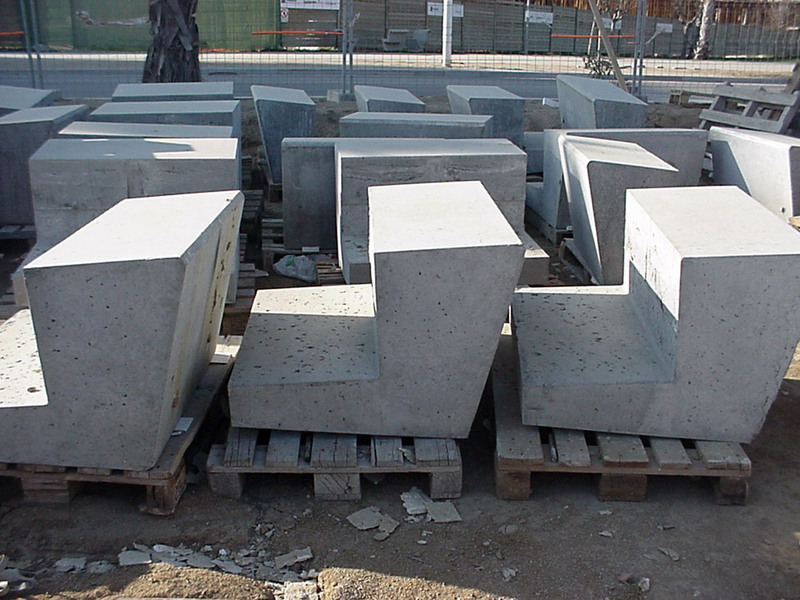 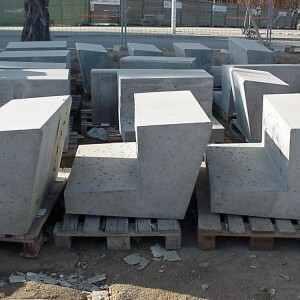 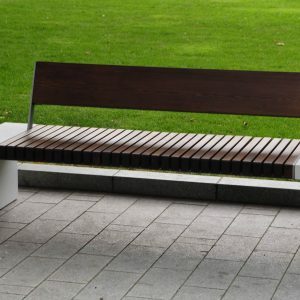 Collaborators: Mariana Plana, Federico Francolíni, Olga Schmid, architects Daniel Abella, Adriana Mazzara, Carles Oliver, technical engineer agronomist Mireia Fernández, ingeniería técnica agrónoma, Mireia Rubio, biologist.